Peeping Toms, bust out the kazoos. Your field day has arrived—and it comes equipped with party favors. The Shard, designed by Italian architect Renzo Piano, is London’s tallest skyscraper and, as of last week, home to a new luxury hotel. The rooms include breathtaking views of the city—and, thanks to a design flaw, unscrupulous views of unsuspecting neighbors. Glass panels on the Shard’s exterior bestow the building with a crystalline front and its namesake. 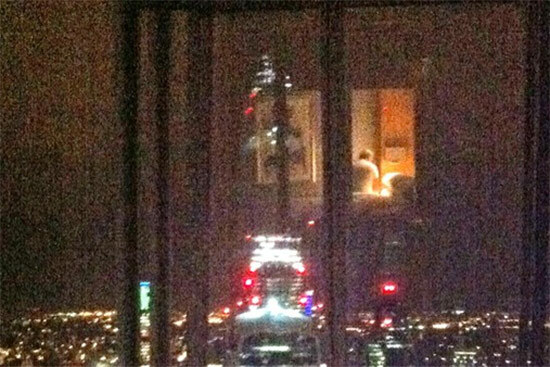 But at night, the city’s lights turn the glass into mirrors that fully reflect guest bedrooms into each other. Complementary binoculars (“for the view,” ahem) don’t help matters. Nor do puns about the naked eye. Masking a blush? Rest easy—susceptible rooms include shades for extra privacy.